Still looking for the legitimate company through which you can transfer money to a relative or a friend? A company you can believe, trust and “bring you closer” with your dear one. Didn’t you wish you had a track of your money order, about its security and hassle free transfer? Also, if you had a sense of trust that eventually you can wire money to people around the world. Well, to make you believe that online money transfer is the new game. Let me tell you something about MoneyGram: Bringing you closer. MoneyGram is an international company which provides convenient ways to transfer money between two parties worldwide and offers bill payment series in USA and Canada. An individual can send or receive money through MoneyGram personally through agents at areas around the world, through account transfers, ordinary mail, and via online portals. Now either you are a new consumer or and an old loyal customer to the company, it is essential to track the money transferred from the sender as well as the receiver. Money doesn't grow on trees. Thus it is important to follow your money order and maintain peace in mind plus for the security reason as well. The person or party who dispatch the money order. The individual or party who receives the money order mailed by the receiver. You can still track the money order if you are a third person or indirectly affiliated with the receiver or the sender. But must have the relevant documents and credentials required. 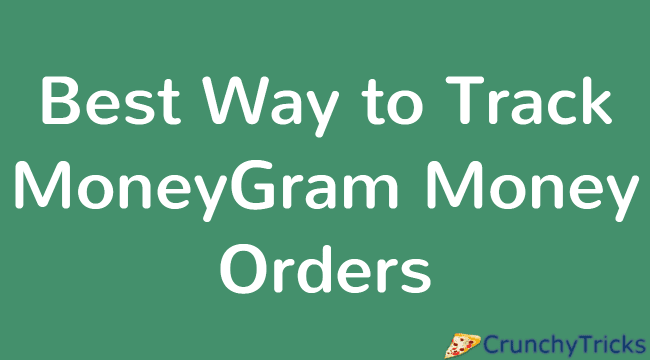 Let’s directly proceed to the process and find out how to track your money orders in MoneyGram. 1. Call the MoneyGram money order service line. Look for the toll-free no. in the site’s contact information. Different countries have different contact support. You shall be required to enter money order reference number and the amount of money sent. Consider calling the toll free no. only if you have allowed at least one week to the recipient for a chance to cash the money order. Download and print the application/claim form. Fill out the form completely. Pay particular attention to the reference number you retained from the submission receipt. Prepare for a small amount of processing fee in the name of: "MoneyGram International." If the cash were established out of the money order, the photocopy of the receipt would be forwarded to you. If the money order was still not paid, then the amount will be refunded to you as a check. Be as intensive as you can with ensuring you didn't lose the order in your daily mail, or other different areas the individual may have sent the order. If you're confirmed that the money order is lost, then ask the buyer to submit the claim. Money orders are mostly sent to a man or business straightforwardly; however, at times they can be sent to MoneyGram's retail-based areas--particularly if a man is voyaging or different circumstances are formed. If the money order is delayed by maximum three weeks, then you must request the sender for the claim card. If the sender conveys the money order to your bank or credit union, let’s say, they may delay it for processing similar to clearing a check. This could be a day or two or longer if this occurs during a weekend or holiday. In the case of international orders, currency exchanges may delay processing for a day or so as the money order changes the value in the account. You need to get this form from the MoneyGram site in the Money Order area. Bring much documentation along with this form when submitting it. You will need to prepare a fee for requesting information on an order one-year-old or less, as you go much past for the record, the expense will rise correspondingly. Pay the fee online on MoneyGram's website or at a physical agent's location. Fill out the appropriate reference numbers you paid the historical service charge. Remember, MoneyGram does not hold records longer than 10 years. You should do this for each MoneyGram request you need data on. Include all past telephone numbers, addresses, etc. If you are third-party, you will need to submit proper ID. This ought to be a photocopy of your identification as the sender, recipient, or third-party. Documents can be emailed at the respected email ID. Note: - In all the above methods shown, you always are free to contact the customer support. Either you are a sender, receiver or a third person customer support will always help you 24/7. The customer support no. can be found at the official company site in the contact support. I am not writing any formal no. Because contact information is different for different states. So, the above were some methods through which you can track your money order in MoneyGram. There are many other money transfer banks and sites which may have better natural tracking than MoneyGram. But at the same time, MoneyGram is the best company which provides hassle free money transfer be it online or offline.